Ninety-five miners were arrested that day and charged with riot, an offence punishable by life imprisonment at the time. However, there was doubt in court over the reliability of evidence given by the police. Many of their statements were suspiciously identical and several had a forged signature. Mining communities felt they had been set up by the police and began to question the orchestrated nature of the conflict. Had the order to be heavy handed with miners picketing at Orgreave come from the very top? Speculation was rife that Prime Minister Margaret Thatcher was using the Police as her own personal army against the striking miners. Today, trust in the authorities remains fractured in these regions. The Orgreave Truth and Justice Campaign was established to push for a full independent inquiry into what happened at Orgreave on 18th June 1984. For FT Weekend Magazine, I photographed several of its key supporters including ex-miners and trade unionists who are determined to uncover the full story. In October 2016, Home Secretary Amber Rudd announced there would be no statutory inquiry or independent review, and so the campaign continues. Barbara Jackson, secretary of the Orgreave Truth and Justice Campaign. 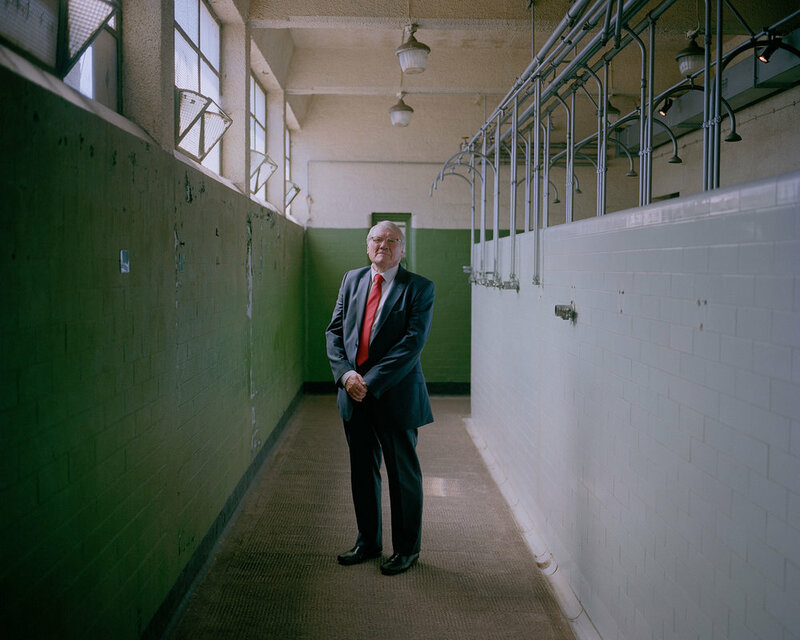 Ken Capstick, Caphouse Colliery Baths, Wakefield, West Yorkshire. Former coal miner and Vice President of the Yorkshire National Union of Mineworkers. Orgreave Lane railway bridge, South Yorkshire. 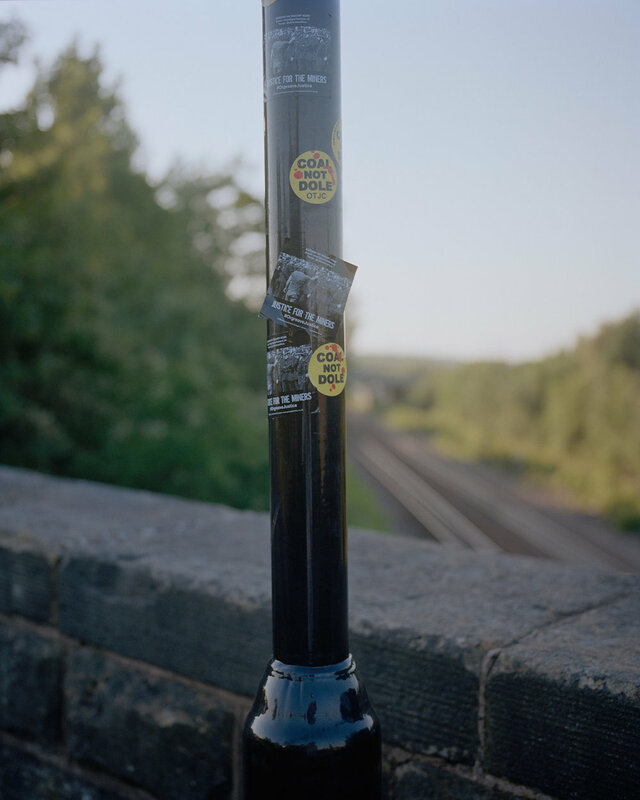 Street lamp, Orgreave, South Yorkshire. Kevin Horne, Treeton Miners Welfare, near Orgreave, South Yorkshire. Orgreave Truth and Justice campaigner and one of the ninety-five arrested at the Battle of Orgreave. Road sign adorned with Orgreave Truth and Justice Campaign stickers, Orgreave, South Yorkshire. 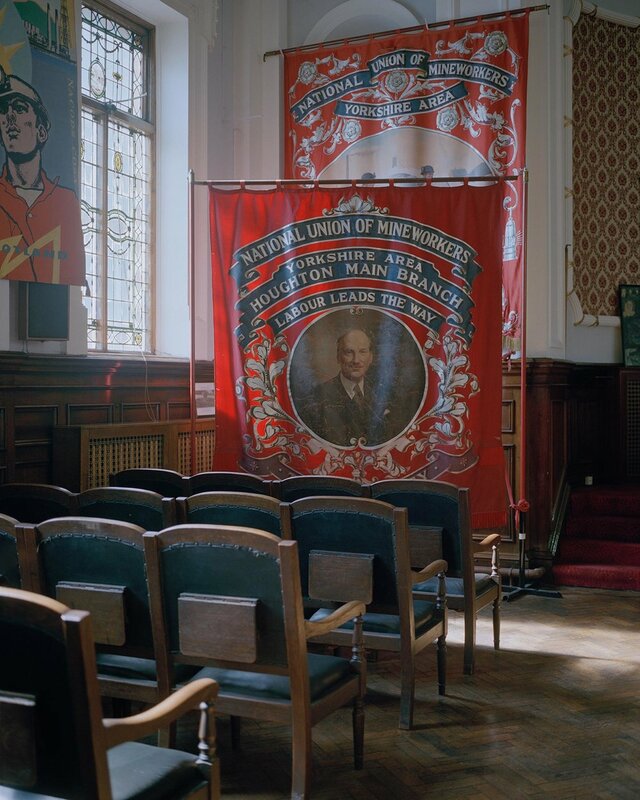 Area banners inside the National Union of Mineworkers headquarters, Barnsley, South Yorkshire. General Secretary of the National Union of Mineworkers, Barnsley, South Yorkshire. Houghton Main branch banner, National Union of Mineworkers, Barnsley, South Yorkshire. Artwork in the National Union of Mineworkers' collection, Barnsley, South Yorkshire. Commemorative plate collection, National Union of Mineworkers, Barnsley, South Yorkshire.